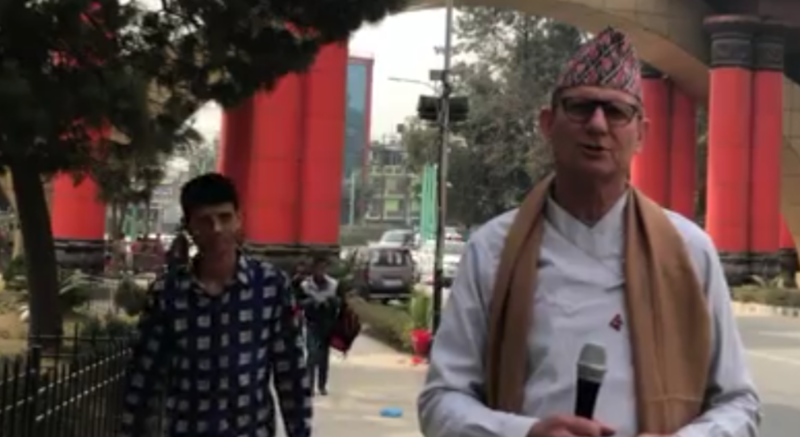 KATHMANDU, Nepal --- Dressed head to toe in traditional Nepali fashion, General Conference President Ted Wilson announced today that he was "done with neckties." Speaking live from Kathmandu, Wilson said that after being forced to wear a tie almost every day of his career in church administration, he was "taking a permanent break." The Adventist leader said that his Nepali outfit felt "tremendously freeing" and vowed to encourage everyone in his administration to make a Kathmandu trip and pay a tailor a visit. Asked if he was merely fasting from ties for Lent, Wilson said he was Adventist and thus exempt from having to fast during the season. I,m wit you, Ted. Studies show ties restrict the blood to your brain. No more ties! Yes! It’s high time to dispense with the “ties that bind” (and that restrict the blood flow to our brains). I’m amazed that after 150 years of Adventist health teaching, it took the piercing vision of the Ted to see through this. And kudos to the Nepalese people and culture for guiding us to this new level of enlightenment. Did Ellen White not see this, or did we miss something in her writings and teachings? This is serious enough to be the subject of an investigative judgement. Pathfinder knot tying is thing of the past. Down wit da ties.